Renew + smooth + restore. Smile and speak up with softer, smoother-looking lips! 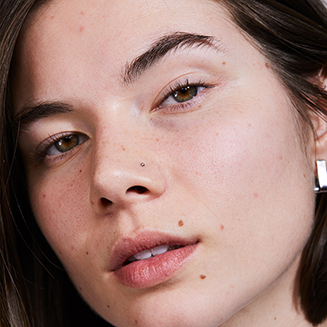 This breakthrough lip serum is infused with hydrating hyaluronic acid, squalane, jojoba seed oil and shea butter to plump the look of lips with moisture—and utilizes a patented Anti-Pollution Blend of 6 anti-oxidants (pomegranate, goji berry, grape seed, green tea, red tea and white tea) to help combat visible signs of aging caused by UV rays, pollution, free radical damage and other environmental aggressors. 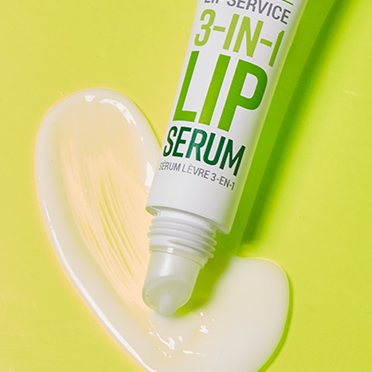 An exclusive Active Rescue Complex (edelweiss, imperatoria, swiss stone pine and ViaPure Coleus) helps give lips a healthy, even-toned appearance. Help attract and retain moisture to hydrate and plump the look of lips. A natural saccharide complex, provides instant moisturization. Help soothe and soften dry, dehydrated and chapped lips. Water/Aqua/Eau, Butyrospermum Parkii (Shea) Oil, Helianthus Annuus (Sunflower) Seed Oil, Glycerin, Theobroma Cacao (Cocoa) Seed Butter, Sorbitol, Pyrus Malus (Apple) Fruit Extract, Squalane, Cetyl Alcohol, Glyceryl Stearate, Propanediol, Cera Alba (Beeswax), Simmondsia Chinensis (Jojoba) Seed Oil, Stearyl Alcohol, Pentylene Glycol, Aspalathus Linearis Leaf Extract, Camellia Sinensis Leaf Extract, Lycium Barbarum Fruit Extract, Punica Granatum Extract, Vitis Vinifera (Grape) Seed Extract, Leuconostoc/Radish Root Ferment Filtrate, Pinus Cembra Wood Extract, Colloidal Oatmeal, Sodium Hyaluronate, Tocopheryl Acetate, Tocopherol, Sodium PCA, Leontopodium Alpinum Extract, Peucedanum Ostruthium Leaf Extract, Salicornia Herbacea Extract, Coleus Barbatus Root Extract, Triolein, Caprylic/Capric Triglyceride, Bisabolol, Linoleic Acid, Maltodextrin, Lecithin, Phytosteryl Canola Glycerides, Oleic Acid, Palmitic Acid, Stearic Acid, Citric Acid, Xanthan Gum, Phenethyl Alcohol. Apply as needed to dry, dehydrated chapped lips.